Sunsail, sun and sail... Just hearing the name made my eyes sparkle when I got the invitation from that charter company, which provides catamaran cruises in more than 26 locations around the world. For me, it shall be...the West Indies! 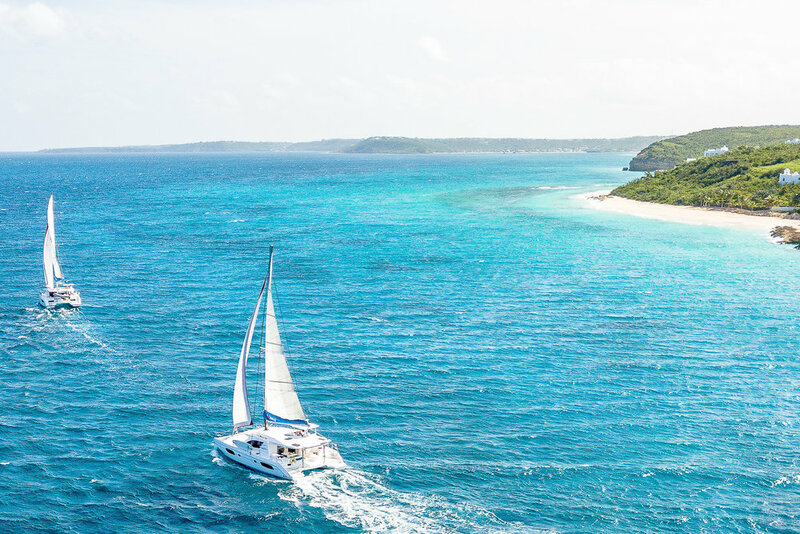 What makes it all even more exciting for me is that I have never been there, and will for the first time sail, live and sleep on a catamaran in that gorgeous setting! Ready to sail together in the Caribbean?! 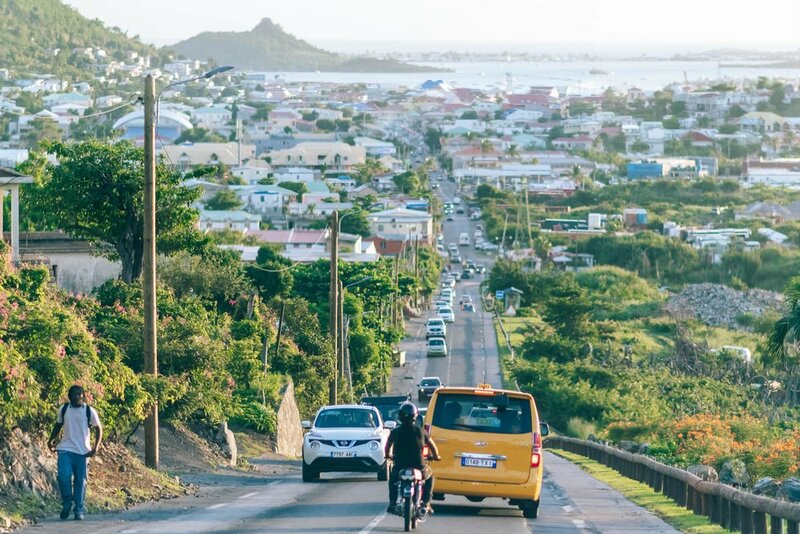 Our first stop will be St-Martin, on the French side of the island, which is divided into two parts: on one side the French part, and on the other the Dutch part. 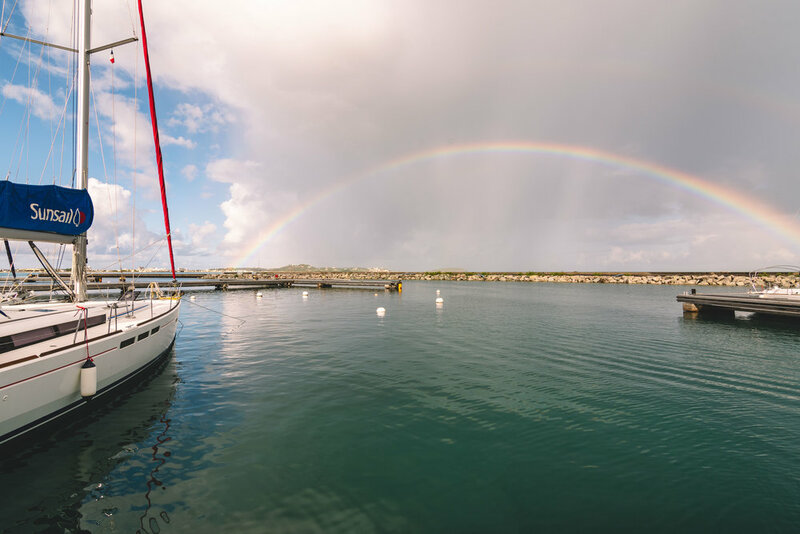 As soon as I leave the airport, I’m already dazzled by all I can see through the car’s windows, but even more so when I reach the marina where my catamaran awaits, along with a beautiful rainbow ! 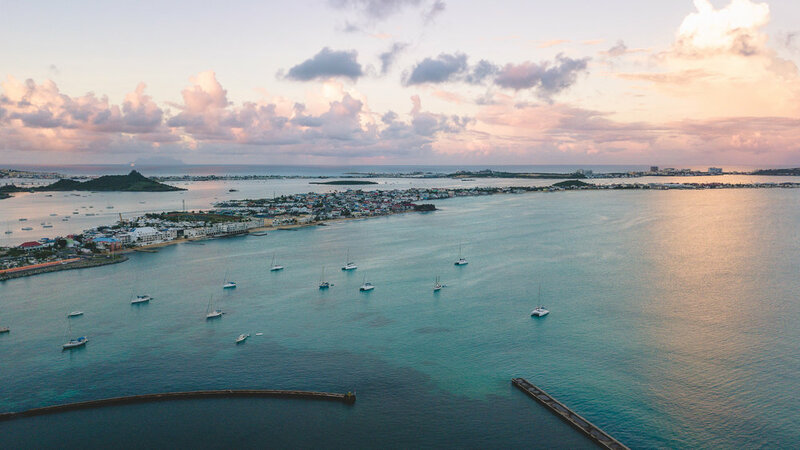 And it's time to explore St-Martin for two days. Truly, the island is magnificent and has the most breathtaking landscapes! 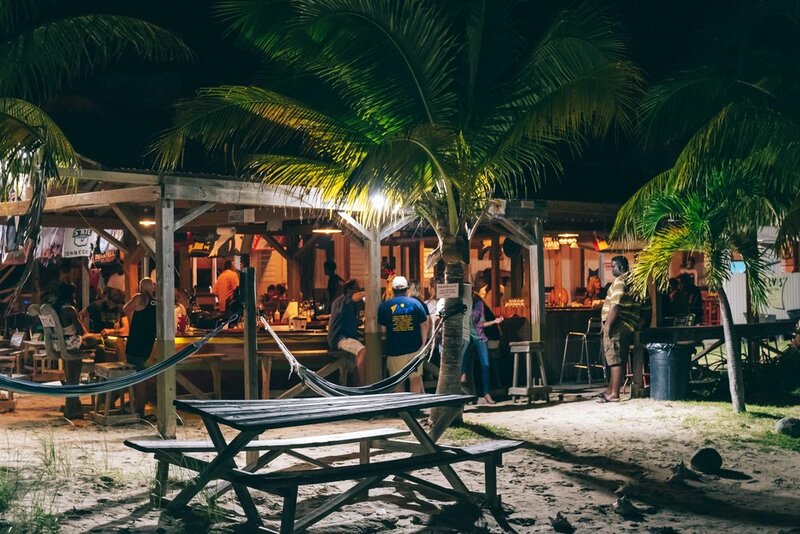 It's easy to quickly forget the occasional damages left by the hurricane Irma over a year ago, thanks to all the beautiful spots the island has to offer. 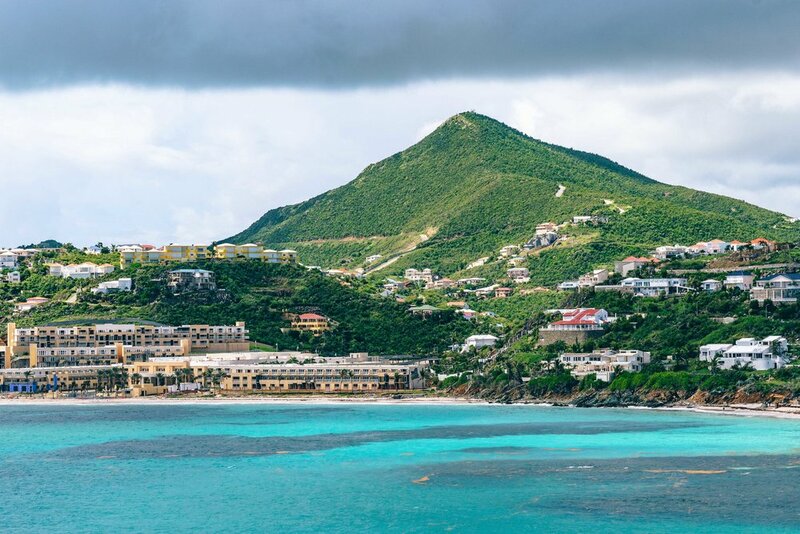 …the island of Saint-Barthélémy ! And an exquisite sunset is there to greet us! Today I’m exploring St-Barthélemy, the island of millionaires, and you can immediately tell the difference from St-Martin, it’s a lot more posh! The views are still just as gorgeous, and the landscapes absolutely incredible! And since last year, it's impossible to go to St-Barthélémy without paying a visit to the cemetery, to pay our respects to our very own Johnny (Johnny Hallyday, the globally-known French singer, who passed away in late 2017 and was interred in St-Barthélémy, which has since become a place of pilgrimage for his millions of fans from all over the world). Oh yes, we spent the night here, in Anse Colombier, on our catamarans. Is it heaven or is it heaven?! I spent an hour playing around with the drone because I was so enamored with the place! 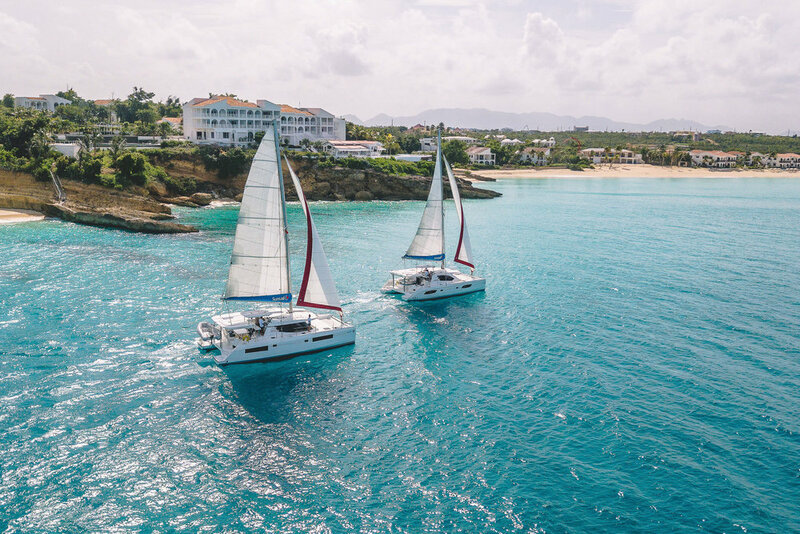 It's now time to sail towards Anguilla, a British overseas territory. Once again greeted by an amazing sunset, the cutest harbor, and absolutely awesome beach bars! The next morning, we sail along the coast of Anguilla, and it's truly stunning! This week has flown by but for me, it’s been a fantastic discovery! 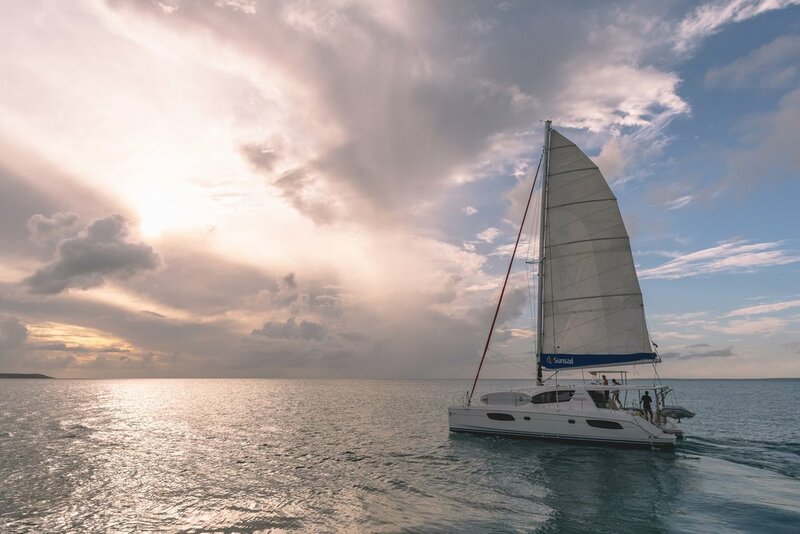 On the one hand, a great visit of the West Indies, and on the other, sailing and living onboard a cataman, what a wonderful experience! A huge thanks to Jacques-Yves and Carine, our skipper and attendant, both wonderful throughout the trip, and incredibly kind and helpful! Thank you so much to Sunsail for making this trip possible, it was absolutely magical!